Here’s to your sixteenth birthday! 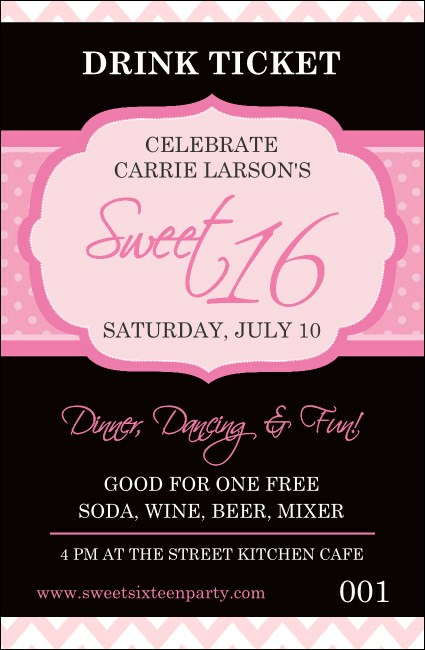 Join your guests in a toast to your fabulous transition into adulthood when you print Sweet 16 Drink Tickets for your big birthday party. These pretty pink tickets feature a beautiful, classic design set against a black background, and each one includes secure numbering for easy event organization. Find a ticket that you’re sweet on at TicketPrinting.com.